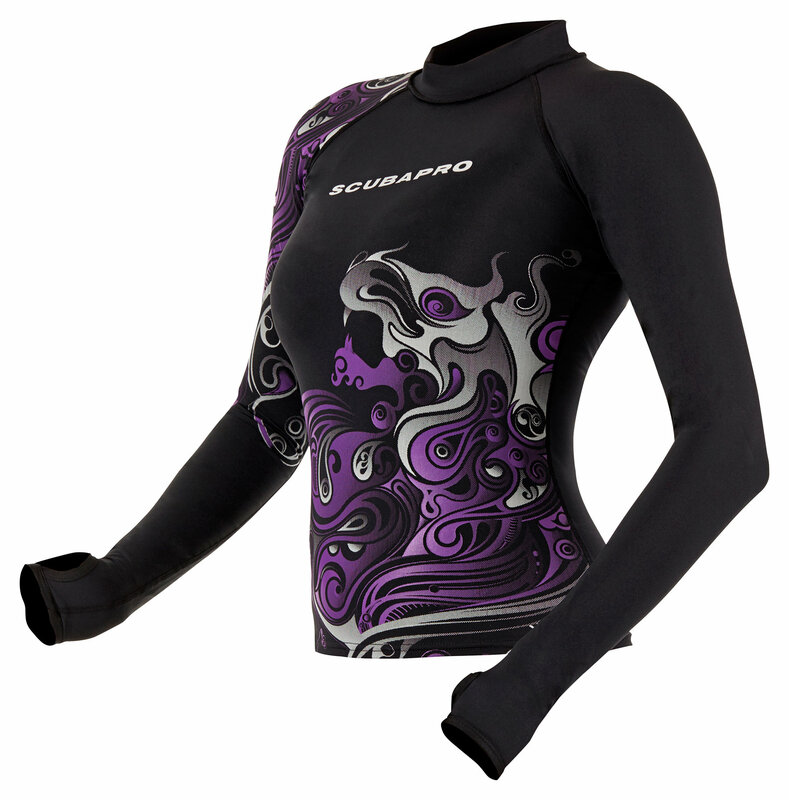 If you want to make a big splash, all you have to do is wear a CRIMP rash guard. This long sleeve watersports top features bright colors and lively graphics. Guaranteed to garner second looks, this form-fitting rashie offers both comfort and protection from the sun's rays (UV rating of UPF-80). The hollow fiber material is highly breathable, anti- bacterial, dries quickly and looks great, making it the ideal rashie to wear before, during and after the dive. Offered in Black/Purple in 5 sizes.